Shortly after an important drugs bust, CIA Agent Felix Leiter is married, but when the drug lord he arrested escapes, kills his wife and mutilates Leiter his old friend British Agent James Bond seeks revenge. When "M" orders 007 to drop the matter and start a new assignment, Bond deserts her Majesty's Secret Service and embarks on a world wide personal vendetta to kill those responsible. 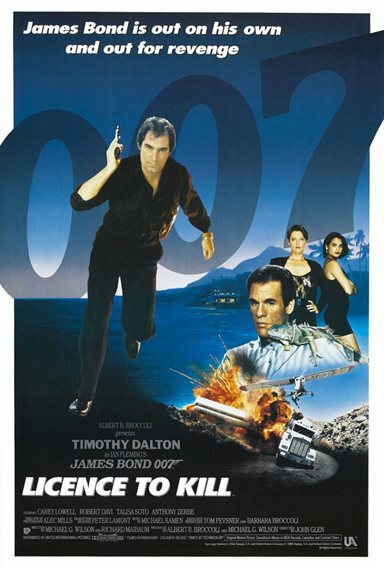 Download Licence to Kill in Digital HD from the iTunes store. Licence to Kill images are © MGM Studios. All Rights Reserved.